Is it hot in here? Or is it Hanna and Caleb? The couple gets its kiss on in this Pretty Little Liars scene. 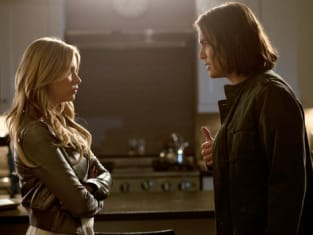 Pretty Little Liars Season 1 Episode 20: "Someone to Watch Over Me"
Pretty Little Liars Picture Preview: Haleb Alert!